Needle felting is a craft that uses a special needle and wool batting. Crafters manipulate the wool with their fingers and then stab it with the needle until it takes shape. Seating is limited to 15 people. All materials provided. Class led by needle felting artist Kayleigh Mihalko. This class is suitable for adults and children 12 years old and up. 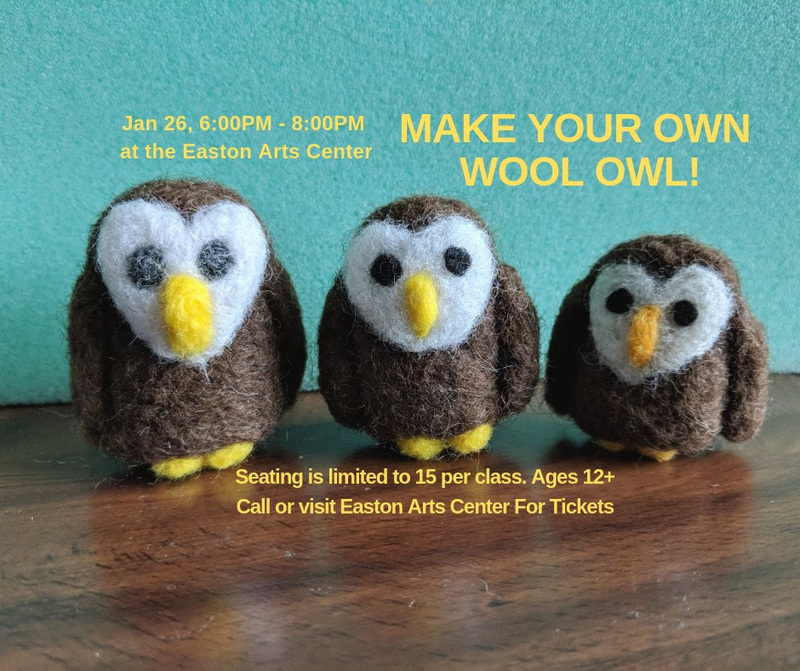 Call or visit the Easton Arts Center to claim your seat.